In The Obamians, acclaimed author James Mann tells the compelling story of the administration’s struggle to enact a coherent and effective set of policies in a time of global turmoil. At the heart of this struggle are the generational conflicts between the Democratic establishment—including Robert Gates, Hillary Clinton, and Joseph Biden—and Obama and his inner circle of largely unknown, remarkably youthful advisers, who came of age after the Cold War had ended. 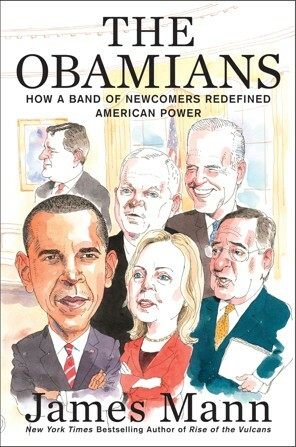 Written by a proven master at elucidating political underpinnings even to the politicians themselves, The Obamians is a pivotal reckoning of this historic president and his inner circle, and of how their policies may or may not continue to shape America and the world. Indyk, Martin; Lieberthal, Kenneth; and O’Hanlon, Michael: “Bending History: Barack Obama’s Foreign Policy”; ed. Brookings, 2012. Rose, Gideon; Washington Post Review of the book; June 15, 2012. Use of American Power”; ed. Crown, 2012.